High school. Where every girl lives the same story, over and over. (Cinder)Ella Armstrong has tried to fit into other people's stories. It doesn't work. But her own story, the one where she's courting a princess and not a prince, is way too weird to tell. There are some things you just can't help. 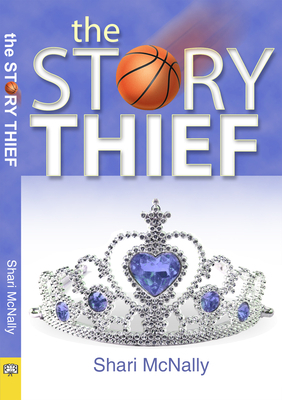 When the school Rebel Queen Renee Hammond needs a knight, Ella dumps the idea of glass slippers and takes up the challenge. Worshiping from the sidelines works for her--until good girl Diane Lacey makes Ella yearn to write a new story for herself. A story where the girl might get the girl, but most of all, the girl gets herself. Shari McNally is a self-described mild-mannered medical copy editor by day, and a writer by night. She lives in San Diego.